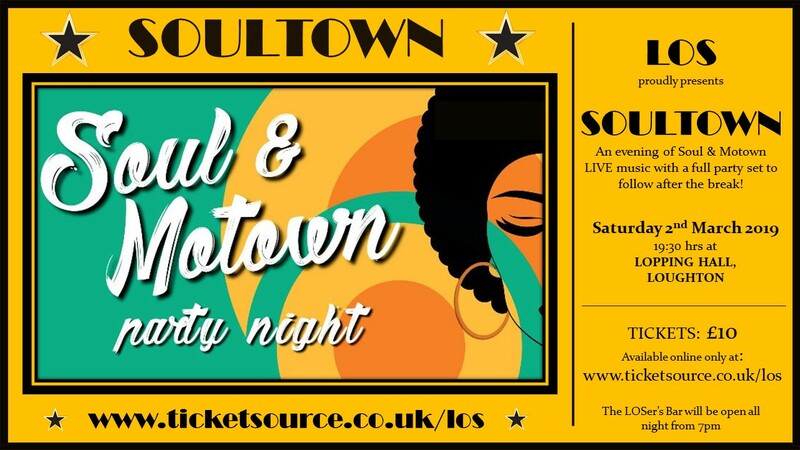 "Soultown" An Evening of Live Music - Motown and a full party set. Do come and join us for what promises to be a fabulous evening of Live music & dance. The LOSers Bar will be open from 7pm till late.